There are hundreds of games available to play football, but when it comes to basketball there's a lot less to choose from, and things get even harder if you want to play online. 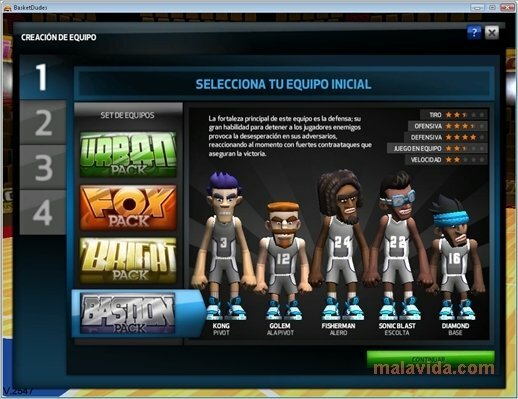 But now, thanks to BasketDudes you'll have the possibility to play against players from all over the world. 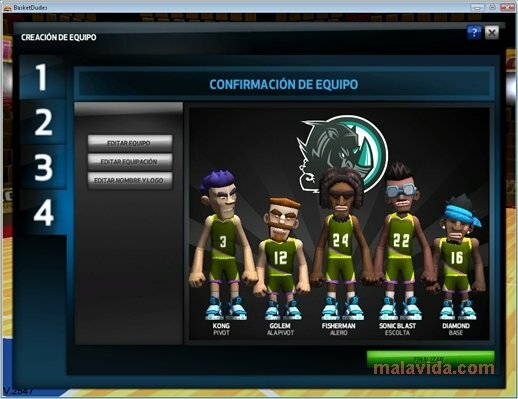 In BasketDudes the first thing that you have to do after creating a user account, is to create your team. 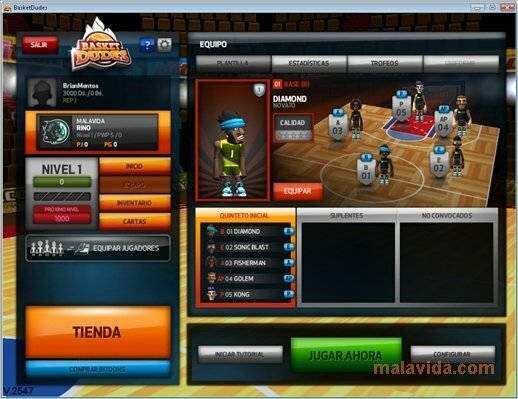 The game offers the possibility to choose between four different types of team, each of which is formed by players with different skills and features. After that all you have to do is find a rival to play against to put your skill to the test. Win matches and make your team evolve. 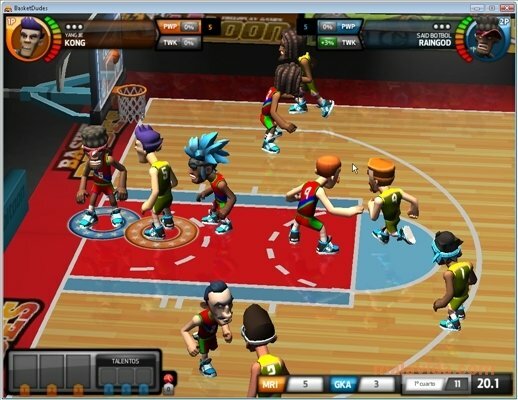 Unlike many other sport games, BasketDudes includes certain elements of role-playing games, because the different players of the team will earn experience after each match depending on how they have played. Something that will allow you to improve their skills in the long run. On the other hand, after each match that you play, the teams receive a series of objects and bonuses that you'll be able to use in the following matches. 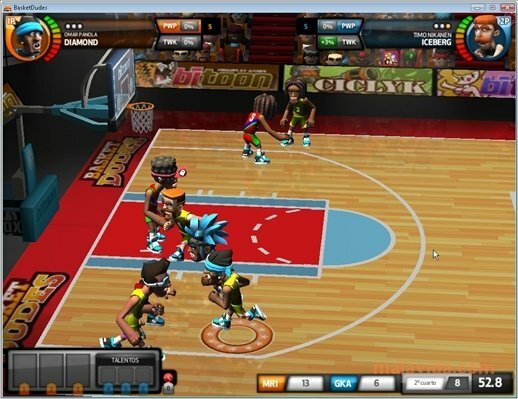 Even though it's a free game, BasketDudes also offers the possibility to the players to buy other power-ups. Regarding the graphics of the game, it has to said, the developers have done a very good job, because they have managed to provide rather high quality graphics without the game losing dynamism or playability. Having said this, they could have included some more graphics for the players, as they are all basically variations of five different faces. 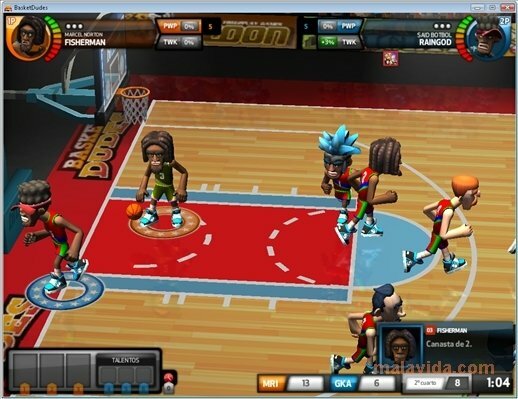 Therefore, if you want to play a basketball game that is entertaining and that will allow you to play against opponents from all over the world, just download BasketDudes. 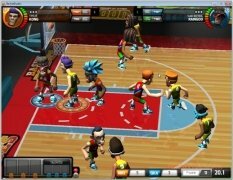 The game will be updated automatically when connecting to the server.